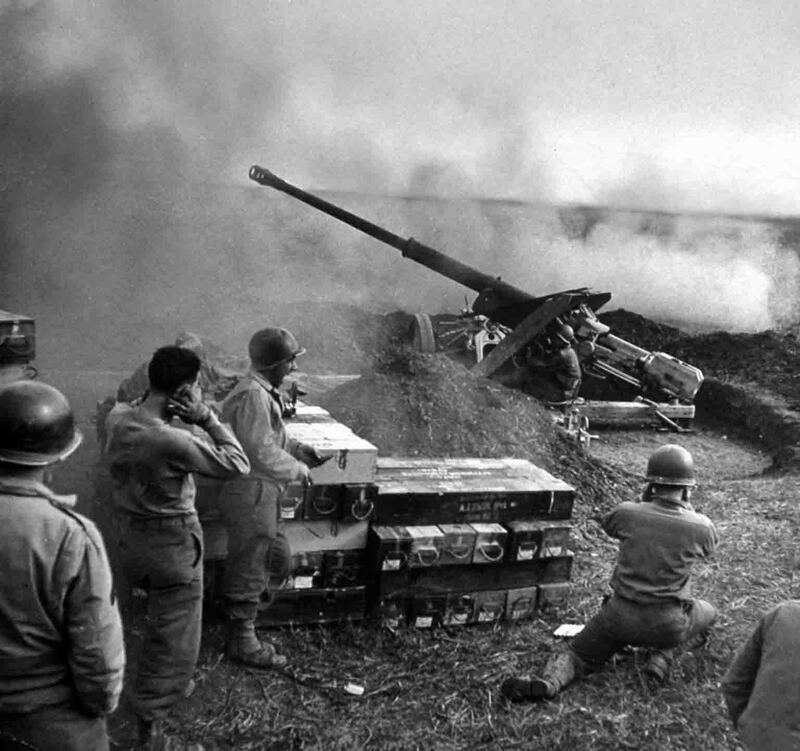 The Americans are firing from the German 88-mm anti-tank gun PaK 43/41. It was one of the most powerful anti-tank guns during the Second World War. In terms of armor penetration, only the Soviet 100mm cannon of the 1944 model and the German 128mm PaK-44 are comparable with it.